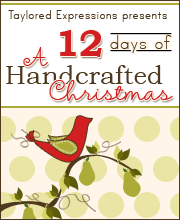 Today is the first day of sneak peeks for what's new at Taylored Expressions this month! 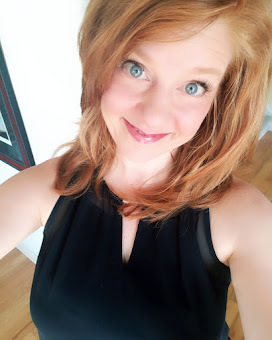 I'm so glad you're joining us!! I have two new stamp sets that I'm featuring today. First up is He Is Risen. He is Risen is the newest in the Lasting Impressions line at TE. It is a set of 6 and is perfect for Easter. 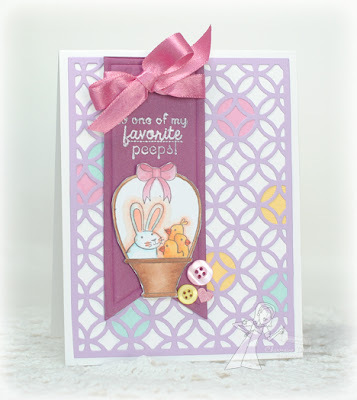 On my card, I used the Label Stacklets 2 for the sentiment panel. I also used another new product that's coming to TE. . .the Silhouette Stems 3 Die!! (yes, there are two others! ;) I die cut the flower twice. Once out of green cardstock and once out of red, then snipped off the top of the red die cut and attached it over the green of the first. The papers are from the Love Story Collection from Echo Park. My second project today features the Basket-Full set. Basket-Full is the newest in the Apple Doodle Ink line and it coordinates with A Bushel & A Peck, All Aboard and Loads of Fun. It is a set of 11 and is perfect for sweet little Spring cards or treats! 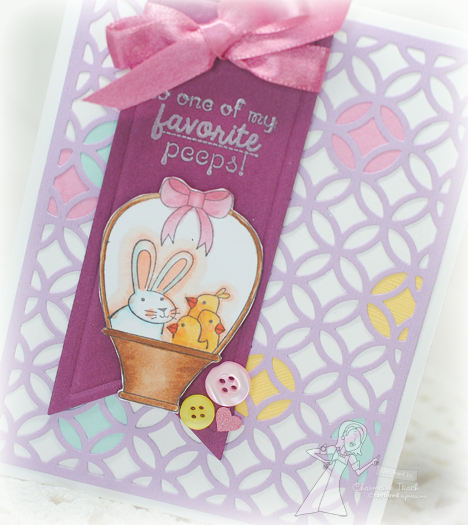 For my card, I've paired it up with the NEW Circles Cutting Plate as well as the Banner Stacklets 1! I colored the image with Copic markers, cut it out and mounted it to the card with foam tape. To add a little interest to the cutting plate panel, I used a 3/4" circle punch to punch out random circles of Spring colored cardstock and attached them behind the panel. As a finishing touch, I added some buttons, a little die cut heart and a bow. Wonderful cards, Charmaine! 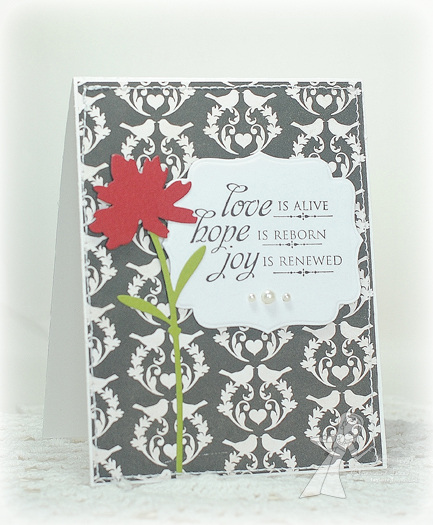 Love the pop of red and the silhouette flower on the first one and the second is super sweet! Beautiful cards! I love the elegance of the first one and the cuteness of the second. Beautiful cards. I love that cutting plate. 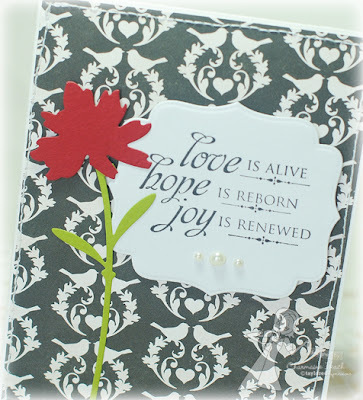 Wow, Charmaine, I love the black & white with the pop of color on the first card and the punched circles behind the cutting plate was pure brilliance on the second! Very cool!